After speaking to the developer of The Spatials: Galactology, it seems they are now doing a day-1 Linux release. As I was busy, BTRE covered their initial tweets to me where they indicated they didn't have a date. If you owned the original The Spatials you should also get a free copy of this new expanded version! I actually took a look at the original some time ago, and my main point was wanting to see the game expanded, which they are doing with this, so that's awesome. The developer has come back to me again now to say that the Linux version is ready! 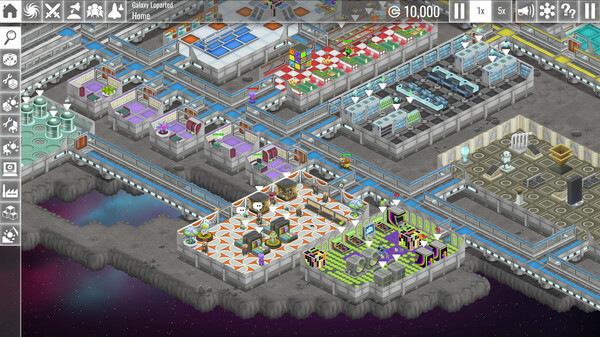 The Spatials: Galactology is The Spatials reimagined as a deeper, more rewarding simulation game. With mod support and active pause, Galactology adds new items and structures to build, trade routes to exploit, planets with many new variables, sophisticated AI, civilizations that actually attack your station -- and unique gameplay systems behind every object and room.